Top Ten Tuesday is an original feature/weekly meme created by The Broke and the Bookish because of their fondness for lists. 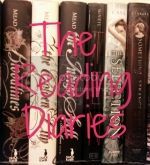 =) They love to share their lists with other bookish folks and would LOVE to see other’s top ten lists! Each week, they will post a new Top Ten list and everyone is welcome to join. Please link back to The Broke and the Bookish on your post AND add your name to the Linky widget so that everyone can check out other bloggers lists. Summer Sisters? I need to look into that one. @Juju - That was one of my sister's recs. I haven't read it but, the blurb sounds interesting. Nice list. I read Summer Sisters when it first came out. Maybe I will give it another read. Thank you for your suggestions. @Steph - Thanks. That was one of my sister's picks. I haven't gotten around to reading it. Thanks for stopping by! What a great list! I love your blog title by the way! Hunger Games is on my list too. And I went for Going Bovine for a Bray book, but Beauty Queens would be a lot of fun too! I love all of her books. And I see you're reading Dearly Departed!! LOVE that book! @Amanda - Thanks! LOL! 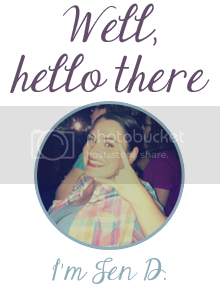 It's what I say to either my family or boyfriend on the regular so I thought it'd be funny to use it as a blog name.